Increasing use of new materials to reduce weight and improve fuel efficiency. New manufacturing processes that can produce higher quality components much faster than ever before. Designing and assembling an incredibly complex product created by a supply chain stretches around the world. Meeting stringent safety regulations imposed by government authorities like the FAA. Launching products on schedule to meet the needs of demanding customers. And, trying to make a profit for shareholders while they are accomplishing all the above. It’s quite a conundrum! 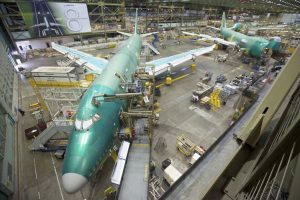 In an article released today by Aerospace Manufacturing Magazine, Senior Editor Ed Hill talks with aPriori Executive Vice President Scott Carlyle about how modern product cost management platforms that feature Design for Manufacturability (DFM) and Design to Cost (DTC) capabilities can help aerospace OEMs and Tier suppliers improve on all the challenges cited above. See how Spirit Aerosystems is saving millions of dollars through value engineering programs that leverage aPriori product cost management to identify and eliminate cost drivers.